SS Kronprinz Wilhelm was an express liner of the North German Lloyd Line, which ran between New York and Bremen from 1901 to 1714. 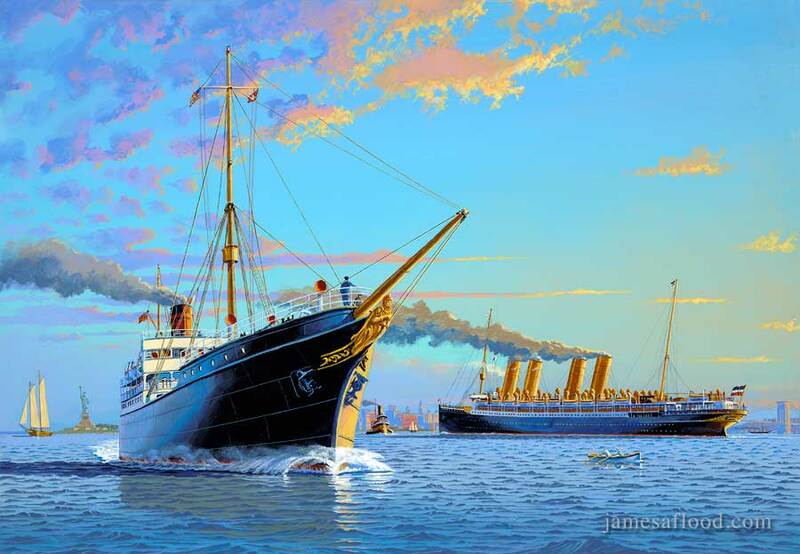 SS Spartan Prince was a smaller immigrant ship of the British Prince Line, which ran between New York and the Mediterranean port from 1897 to 1908. In this painting, the two ships are depicted passing in New York Harbor during the period between 1901 and 1904.